The prescription includes a Doctors bag filled with lots and lots of wonderful gourmet treats and gifts, trimmed to perfection with beautiful silk flowers and ivy. As an added bonus, the Village M.D. 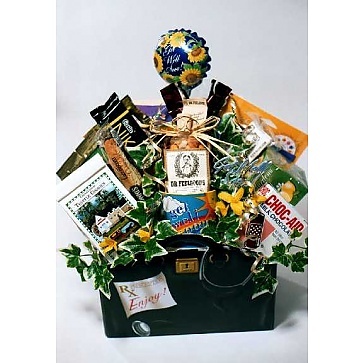 get well gift basket makes house calls!